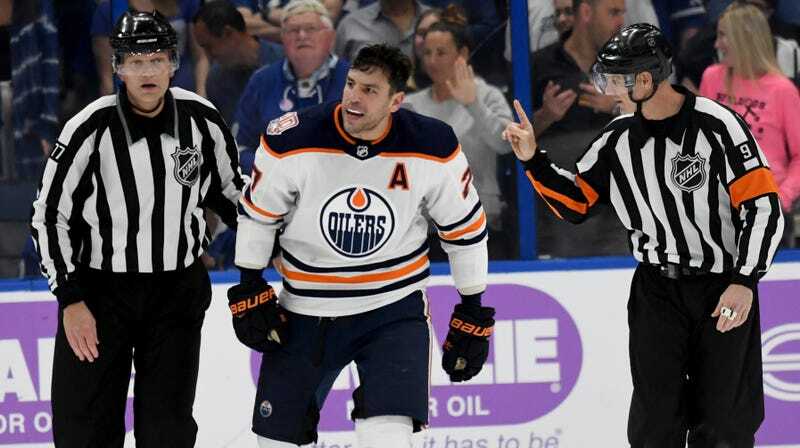 Edmonton Oilers bruiser Milan Lucic got hit with a $10,000 fine but no suspension by the NHL this afternoon, a day after he went after Lightning rookie Mathieu Joseph in the final period of a 5-2 Edmonton loss. 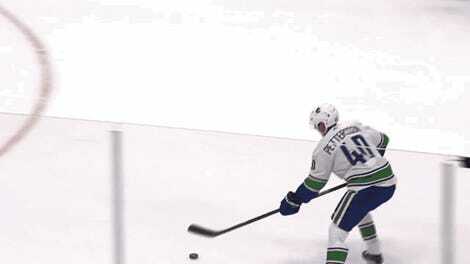 With about 10 minutes remaining and the Oilers already down three, the veteran stalked the kid in his own zone as soon as his shift began, and soon delivered a big hit along with a few extra punches with his glove when Joseph was down. The $10,000 fine is the max allowable amount under the CBA, but in today’s NHL, Lucic is a bit lucky not to miss any games for his clearly premeditated act. There’s a lot to unpack on this play, and the facts that Joseph had just elbowed Kris Russell’s head from behind without a penalty and also was not injured when Lucic went after him could both serve as mitigating factors when considering Lucic’s punishment. But more importantly, you shouldn’t throw punches at an opposing player unless he’s ready and willing to scrap, and Lucic dealing a blow when Joseph is splayed out on the ice crosses a line. Joseph probably should have been in the box for the check on Russell, but the Oilers enforcer went too far in his vigilante search for justice. Lucic has a history of violence but hasn’t been suspended in the past 18 months, so he’s not considered a “repeat offender” by the Department of Player Safety. That likely helped him get off with what could have easily been a justifiable suspension. Then again, Lucic has just one goal and -0.1 point shares so far this season, so maybe forcing him to keep playing is the league’s own punishment on the Oilers. Was Anyone Even Trying To Stop Neal Pionk On This Goal?